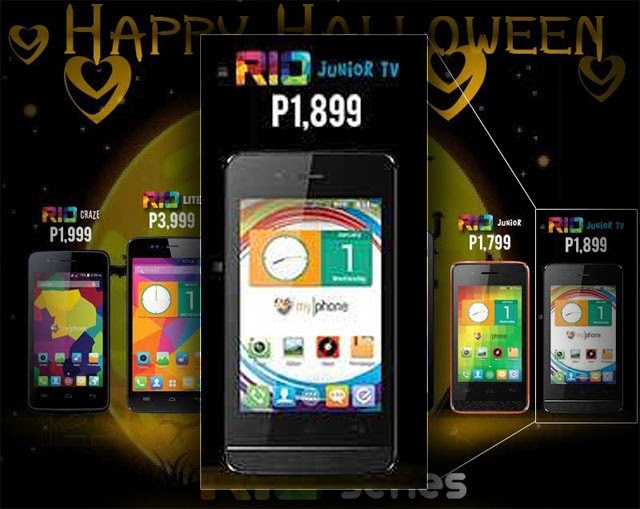 MyPhone’s promotional poster for the Halloween revealed a version of the very affordable MyPhone Rio Junior equipped with mobile TV! The MyPhone Rio Junior TV costs ₱100 more than the regular version with a suggested retail price of ₱1,899.00. 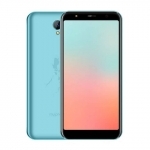 The two have very similar specs except for the first’s mobile TV function. 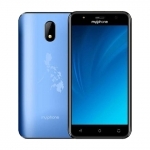 The MyPhone Rio Junior TV is already available in MyPhone outlets and its box lists the same specs as that of the plain Rio Junior. 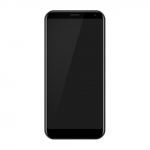 They both have a 3.5-inch display with Android 4.4.2 Kitkat as the operating system. A 1.3GHz dual core processor powers the MyPhone Rio Junior TV which is most likely the MediaTek MT6571. It should also have 256MB of RAM only and a mere 512MB of internal storage. 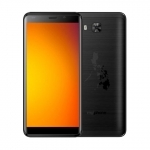 It does have a 1.3MP camera at the back with an LED flash and a VGA front facing one. You won’t be happy with the picture quality of both cameras though. 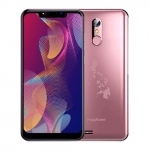 If you’re looking for an Android Kitkat smartphone for basic tasks like texting and calling with mobile TV, the MyPhone Rio Junior TV is worth considering.